Roll down patio shades maximize the use of your patio by blocking up to 90% of the Arizona heat and allowing you to reclaim this outside area without the annoying glare of the sun. 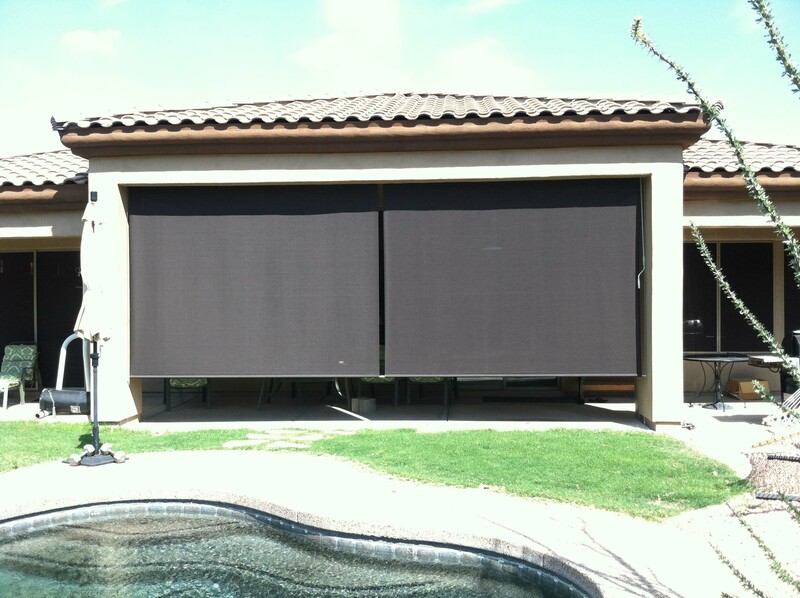 We offer two types of roll down shades to fit most solution requirements. They include a manual crank system and a motorized or fully automated system. 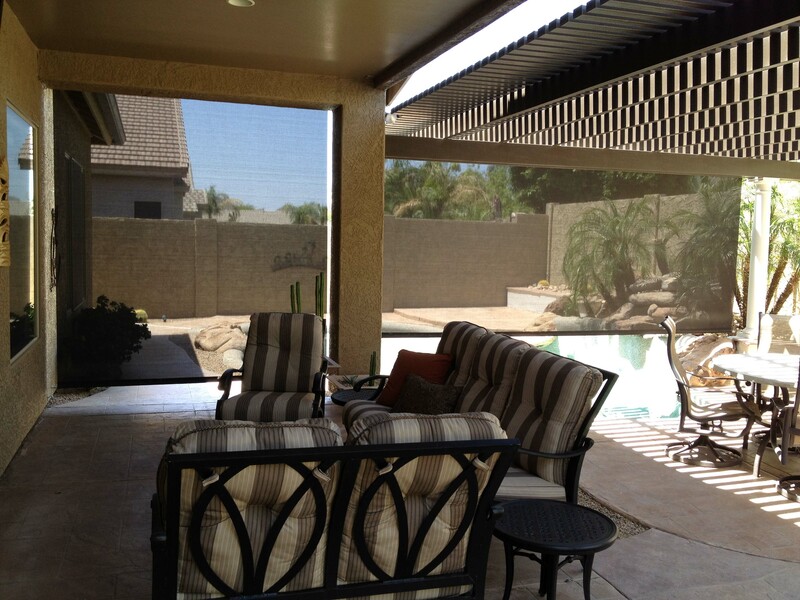 A more heavy duty option is the manual crank roll down patio shade. This system is cable-guided. That means the weight bar at the bottom has heavy-duty wire stabilizing cables threaded through swivel guides at each en d of the bar to guide the bar up and down and keep it from flapping about in light breezes. The axle and mounting brackets are corrosive-free aluminum. The bearings are nylon. We use galvanized steel for the weight bar at the bottom. A hand wand is used to manually crank the shade up and down and can be stopped at any point you desire. A powder-coated aluminum screen roll cover is available. 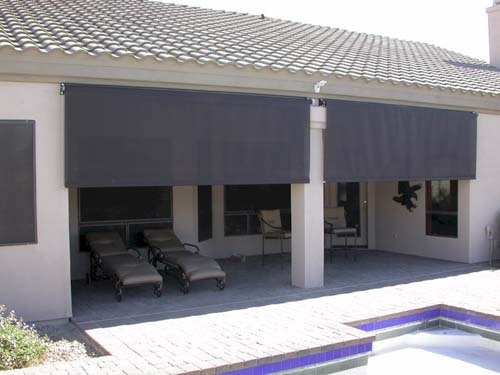 Using the same quality components and features as the manual crank roll down patio shade from above, the motorized version goes a step further by providing the convenience of operating the shade with either a wall switch or a remote control. One switch is used for each roll down shade, but one remote control can work up to 5 shades. 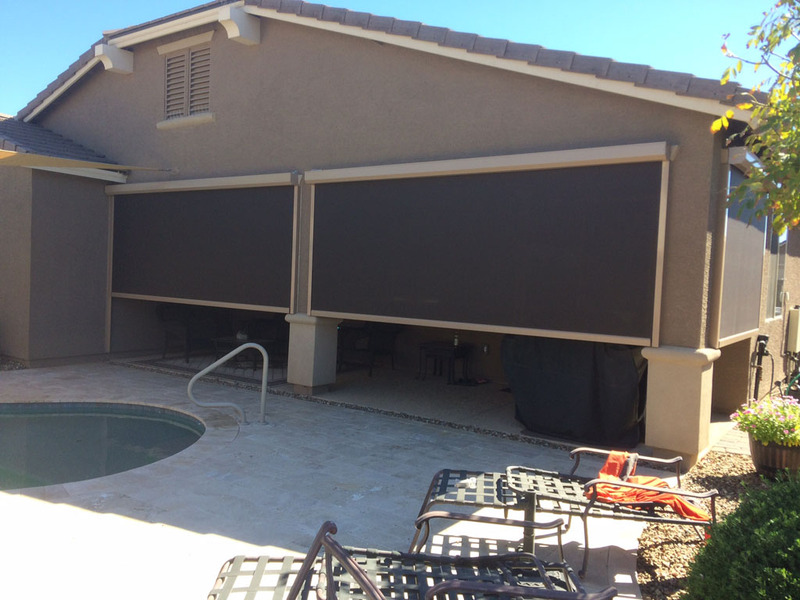 For fully automated roll down patio shades, add a sun/wind sensor. Remote control motors are required for this option so the sensor can “talk” to the shade motor and tell it what to do. This takes the worry out of ensuring the shades are up when unsupervised. When the sun hits the sensor, the shade goes down. 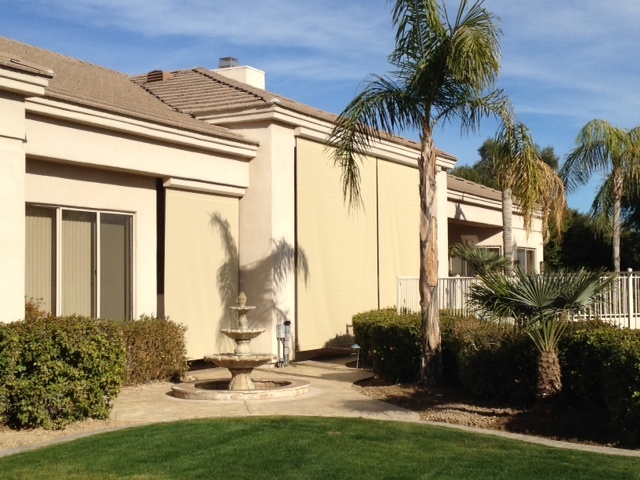 However, if the wind kicks up, the sensor will retract the shade to protect your investment. 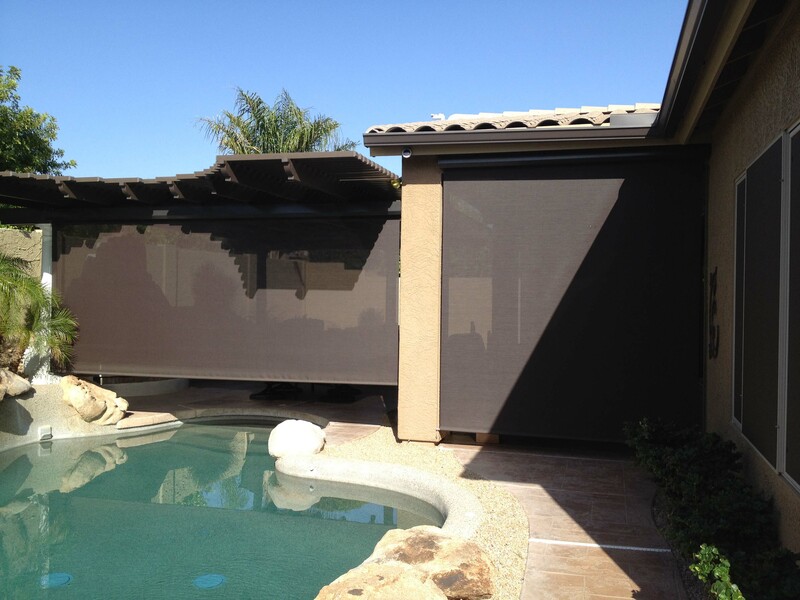 When the wind subsides, the sensor will drop the shade again. After the sun passes the affected area, the sensor will then retract the shade. Of course, if you want the shade down after the sun has passed, you may simply override the sun/wind sensor with the remote control. Any damage to unit or loosening of cables due to excessive wind not warranted. Warranty valid for original purchaser. Non-transferable.